Tired of pulling out flattened or wrinkled rolls of paper from your closet left over from the previous holiday? The Elf Stor has made it easy to store away those left-over and unused rolls of wrapping paper. This innovative, heavy-duty organizer is designed specifically to protect your wrapping paper, never to find them crushed or wrinkled the next year. Tired of pulling out flattened or wrinkled rolls of paper from your closet? Tired of trying to find the bag of bows left over from the previous holiday? The Elf Stor has made it easy to store away those left-over and unused rolls of wrapping paper, bows and ribbon. This innovative, heavy-duty organizer is designed specifically to protect your wrapping paper, ribbons and bows and tuck them neatly under your bed, or along a wall in your closet. Tired of pulling out flattened or wrinkled rolls of paper from your closet left over from the previous holiday? 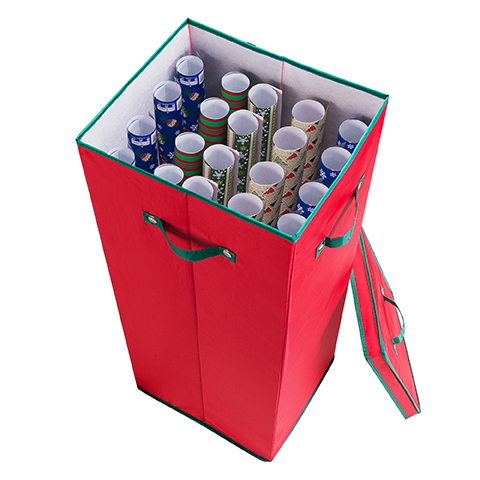 The Elf Stor has made it easy to store away those left-over and unused rolls of wrapping paper with their innovative, Christmas and Holiday Gift Wrap Storage Bag is designed specifically to protect your wrapping paper, and to keep them in one place and ready for the next year. 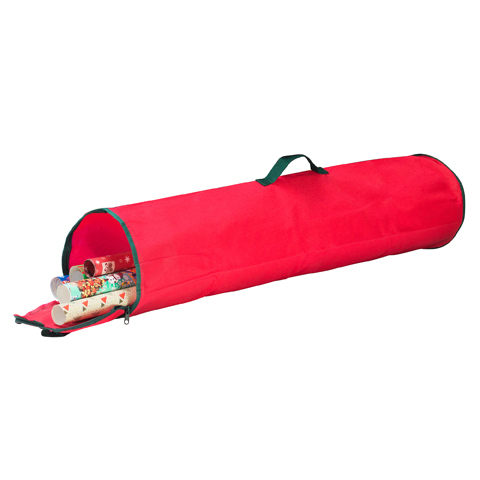 The Elf Stor Gift Bag Organizer is the Ultimate storage and organizer for your gift bags, shirt boxes, tissue paper, cards and more! 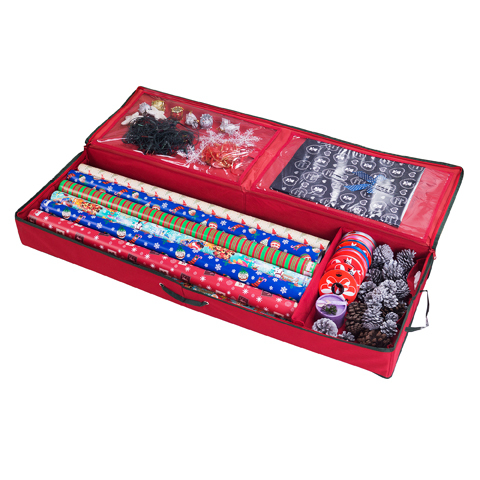 Stuffing your gift wrap into drawers and corners of closets is a thing of the past—store all your gift wrap needs neatly and wrinkle free in this 20” diameter Ultimate Gift Bag Organizer from Elf Stor. 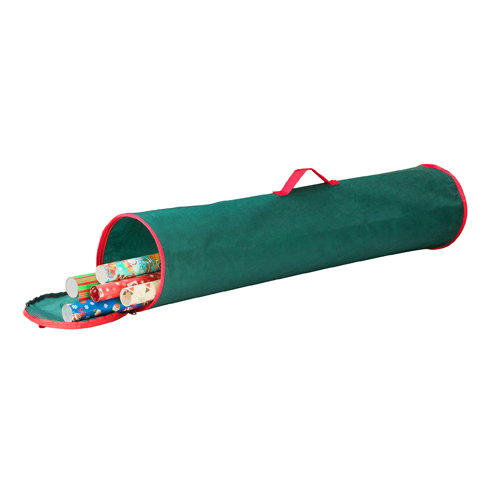 The Elf Stor Gift Bag Organizer has 2.2 Cubic Feet of storage on the inside plus four exterior pockets. It’s unique interior design allows you to separate bags by size or occasion, you can keep birthday bags separate from holiday gift bags. This sturdy organizer features compartments of every size and has side pockets for miscellaneous items like ribbon, scissors, gift tags and tape! 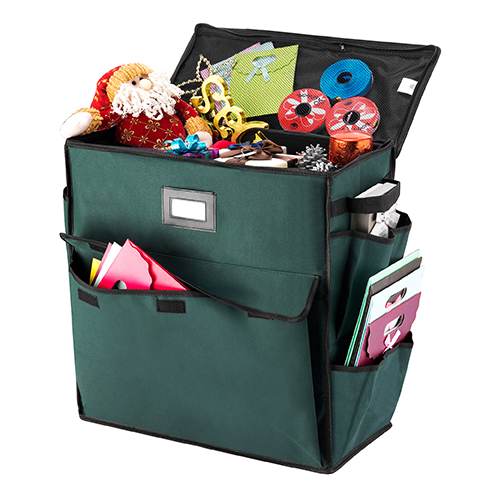 Never again will you spend more time looking for supplies to wrap a gift, everything you need will be stored in the hard-sided and stack-able Gift Bag Organizer. This all year-round organizer is made of heavy duty oxford canvas and lined with polyester.